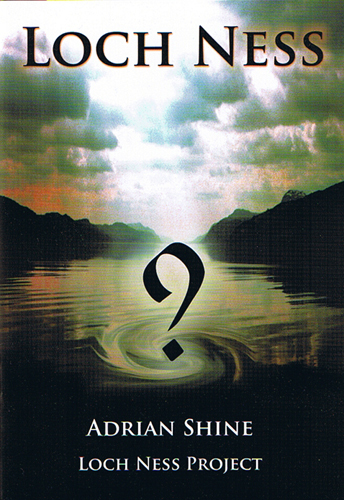 After thirty three years of active investigation and numerous scientific papers, this is the first popular publication by leading researcher Adrian Shine. In its 32 pages he manages to cover the loch's evolution and history over the past 400 million years, it's fauna and flora and the myths and legends that grew up around it before giving a fascinating description of the Loch Ness Project's work and findings. You will find the important events in the evolving story of Loch Ness and it's monster accurately described - some for the first time - ranging between Saint Columba in 565 AD and the finding of an 80 foot fishing vessel and some 120,000 year old marine shells in the loch in 2002, and covering Marmaduke Wetherell, Tim Dinsdale, the Loch Ness Investigation Bureau and every other significant event in between. Adrian Shine's extremely readable booklet measures 9.75 by 6.75 inches and like Doctor Who's TARDIS contains much more than one might expect. Including over 40 colour illustrations, it is both an ideal "primer" for newcomers to the subject while also holding some surprises for the most veteran of cryptozoologists. And of course, it's a great reference source for that school report! Quite simply, this is the best new booklet on Loch Ness for forty years. The booklet is now also available in German. If you do not ask for "German" in the PayPal "Message to Seller" section an English edition will be sent to you. Please note - Proof of Posting will be obtained and sent to purchasers. The Royal Mail Airsure service with confirmation of delivery would cost £9.82 in postage alone - an extra £5.42 - and is not considered worthwhile. If buyers require postal insurance they should contact me with their requirements in advance. Thank you.